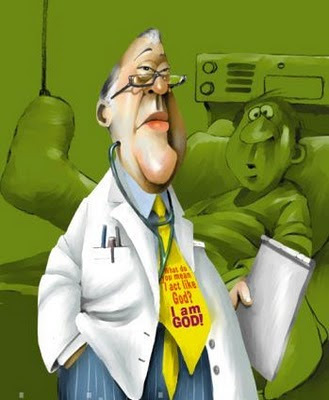 Dr.Malpani's Blog: Why do doctors have such large egos ? We used to have a similar problem in the airline industry (I'm a pilot), but that was all changed after arrogance/egotism was found to be the direct cause of several fatal accidents (think KLM 747 in Tenerife). Since the 1990s, we now have compulsory training to 'learn' how to treat colleagues as equals. The medical industry is way behind in this respect. Arrogance kills!